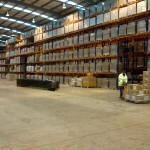 Pallet Racking for your warehouse? Storage and Interior Concepts have just installed the first phase of a large pallet racking installation in Leicester, for a logistics company. The customer has now placed another order to complete the installation for the rest of the warehouse. First phase completed on time and utilises the full height of the warehouse. We also dismantled and moved the existing warehouse lights so they are now over the new 1850 mm wide gangways. Here are some technical details: The total pallets stored is 7400 euro pallets. The installation has been designed using a bendi fork lift truck which reduces the aisles to 1850mm wide. The total height is 9300 mm for the heights pallet racking frame. 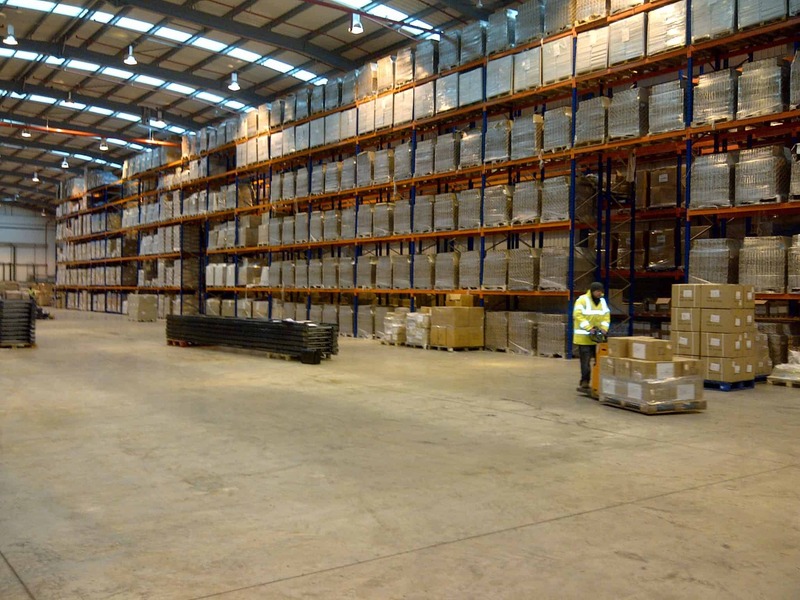 For further details regarding installing of Pallet Racking at your warehouse please contact Storage Concepts on 01664 410414 or use the contact form here. Storage Concepts – Making Space Work for You.